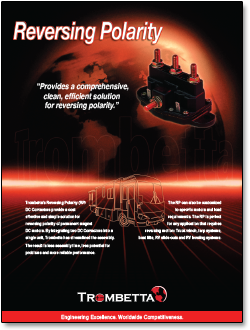 This contactor provides a cost effective and simple solution for reversing polarity of permanent magnet DC motors. 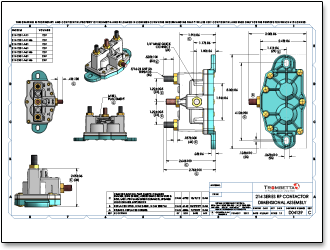 This is achieved by integrating two DC contactors into a single housing unit, eliminating many costly materials and streamlining final product assembly and wire connection. Perfect for RV slides, RV leveling systems, ATV winches, truck tarp systems and boat lifts. 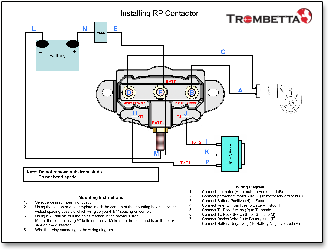 This paragraph is designed to assist you with selecting the correct Reversing Polarity DC Contactor for your application by defining each digit in the part number. When you roll over each small box in the image below, a pop-up window will open to explain the feature heading and each of the feature options. For example, a feature heading may be “Coil Voltage” and the relevant feature options may be “12 Volt” and “24 Volt”. 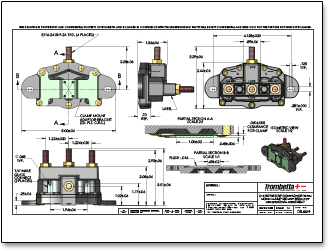 One of our best selling models, the 214-1231-A61, would be defined as a (1) Reversing Polarity DC Contactor, with a coil connection configuration of (1) two grounded coils, each with a 1/4” spade and a common 5/16-24 central ground, and a high current stud of (4) four 5/16-24 studs (two for motor and two for battery). The coil voltage is (12) 12 volts, with a bracket type of (3) molded, and a bracket location of (1) standard location. The duty cycle is (A) 20% sustained, the contact material is (6) alloy silver plated movable & stationary, and the sealing is (1) resistant to dust and liquid. 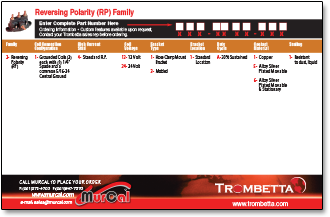 Click here to purchase the Reversing Polarity DC Contactor Family in the MurCal web store.